The wait is finally over for every expat in Korea who struggles with damage at hair salons! 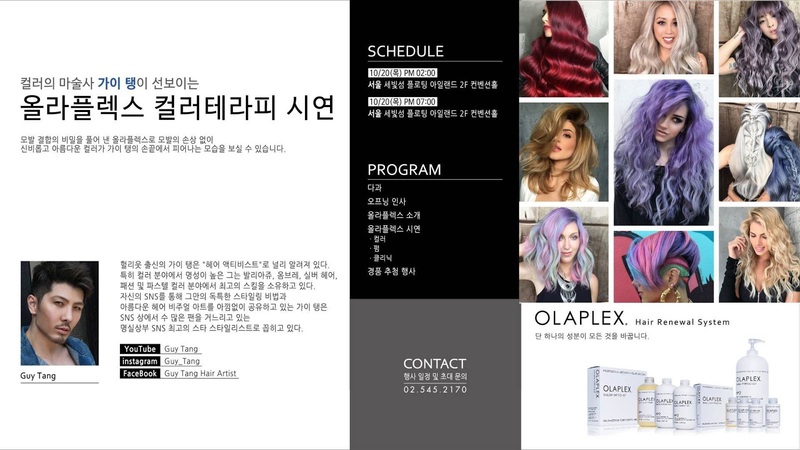 Olaplex is finally launching in South Korea! Woohoo!! I wish you could see my excitement! Keep reading to find out more about Olaplex, their launch event, and a special guest! If you are beauty fanatic like myself, then I’m sure you know of the magic of Olaplex. If you haven’t heard of it, be thankful you came across my website. Olaplex is a gamechanger in the hair industry. It was created by a group of chemists and scientists, that wanted to bring a product to market that actually fixed damaged hair. It works as a bond multiplier that actually rebuilds the bonds of the hair that are normally broken during chemical treatments. There is a lot of technical jargon involved in this process, but that is the basics. It is the ONLY product on that market that will actually reverse damage done to your hair. Other “treatments” only smooth or condition the hair, they don’t actually rebuild broken bonds. It is also cruelty free and free of chemicals such as silicones, sulfates, and phthalates. There are 3 steps to the process. No. 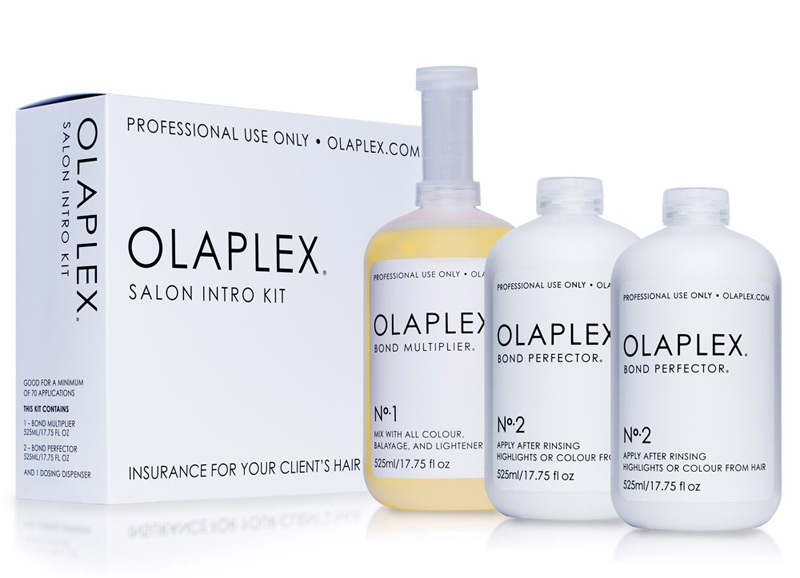 1 is added directly to the hair color so as your hair is processing, it is also being protected from damage by Olaplex. This is a necessary step in any Olaplex treatment. Because it is being added directly to the color your processing time might take a little longer to reach the full color results (or bleaching results). No. 2 is added to the hair and left on for about 10-20 minutes after the color or processing treatment has been washed out. This helps to rebuild the hair and reverse any damage that may have occurred in the chemical process. This is then washed out, and your hair is shampooed and conditioned as normal. No. 3 is a take home treatment to use weekly to continue to rebuild the broken bonds in the hair. Olaplex is NOT a conditioner. It is a treatment that must be washed out, then shampoo and condition your hair as normal. If you want to learn more, pop over to the Olaplex website. Now for the exciting news! The hair activist himself, Guy Tang, will be coming to Korea for the Olaplex launch party. As part of the Olaplex World Tour, he will be here demonstrating how to use Olaplex with his world famous balayage techniques. The event will be held at Some Sevit, the floating islands on the Han River. It will be October 20, 2016 with 2 shows at 2pm and 7pm. Tickets are not required but get there early as it is limited to 2,000 participants for each show. This is also the official launch so many salons will be there getting information about how they can use Olaplex in their businesses. I will keep you all updated as I find out about which salons will begin offering the treatment. I’ll be there live streaming and filming so shout out if you see me! wooohoo! amazing news, I remember asking for this in seoul salons last year and receiving blank stares! i'm so glad it will finally be available. Do you know what salons are likely to adopt it? I will keep the blog and facebook page updated! Because it is just launching all the details are in the works. Hope to know more early November. I am working on compiling one, but unfortunately, that means me contacting salons all over Korea personally to ask 🙁 Very time consuming! Are there any news regarding Saloons in Seoul that offer olaplex treatment ? I am desperately looking for some but I can’t find any. It’s a work in progress! LOL! I know Lucy Salon in Seoul uses it but it is very expensive ($85 for a stand alone treatment!) I’m working to find more information on other salons and prices. Thanks for reaching out! Hey there :), have you managed to compile a list of salons who are using the product in Seoul besides Lucy’s? I’m desperate battling with a hair catastrophe that I’d like to fix quickly and that means I will need Olaplex. Yes! It has been an uphill battle. There is one salon that I’ve found that’s foreign friendly and works magic with colors and Olaplex. Check out his Instagram at Macheskyhair.